Love tying your hair in ponytails, but bored of regular styles? Dear fashion girls, this post brings you some unique ponytail hairstyles. We bet you might haven’t heard about these ponytails and will bring a twist in your monotonous regular look. The popular Amercian Singer, Madonna’s on-the-top-of-the head ponytail is undeniably an evergreen look. 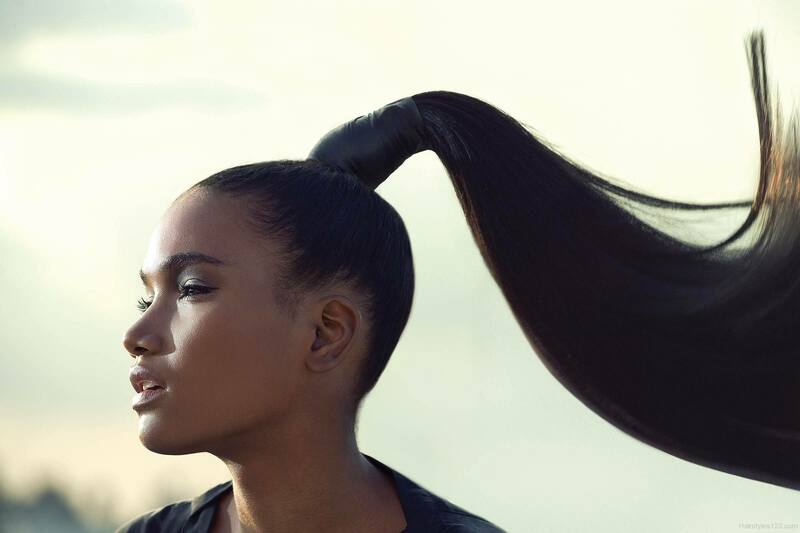 This ponytail needs super sleek hair. So, make sure you use the best hair straightener that will straighten your hair without causing much heat damage. Also, you need an ideal elastic to support this heightened style. The name of this ponytail hairstyle suggests minimal effort. Isn’t that what we all look for in ponytail hairstyles? It’s true somewhat. But this style needs two must-have things to bring perfection to this hairstyle, one is texturizing hair spray, and the other is the thinnest hair bands to make sure that the loose ponytail stays as longer as you want. Pull all your hair on the back of your head and secure it with an elastic band. Section off every 1.5 inches with clear elastic all the way down the ponytail. Puff out all parts gently to create a bubble effect. 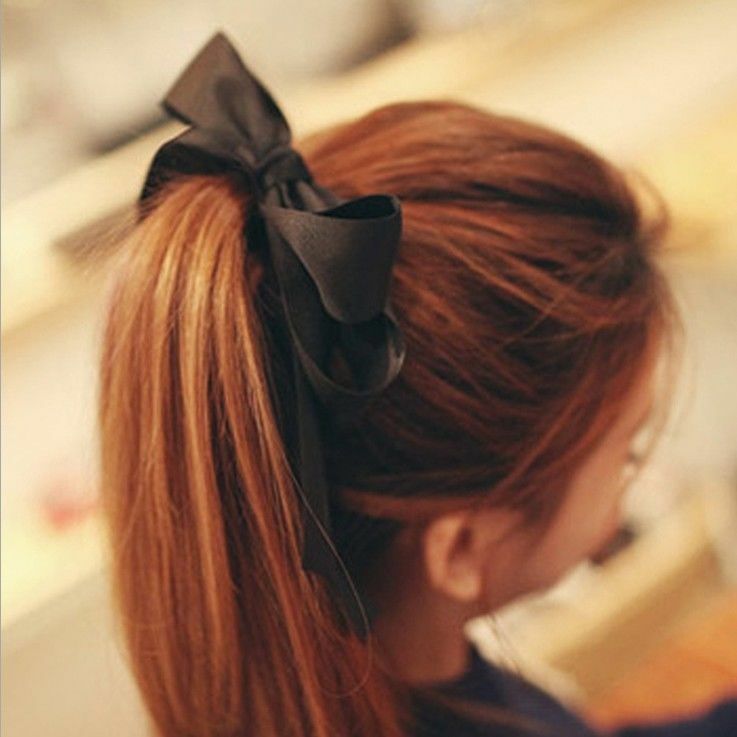 Wearing a low ponytail and accentuating it with a big super-cute bow. It simply adds chicness and royalty to your overall look. 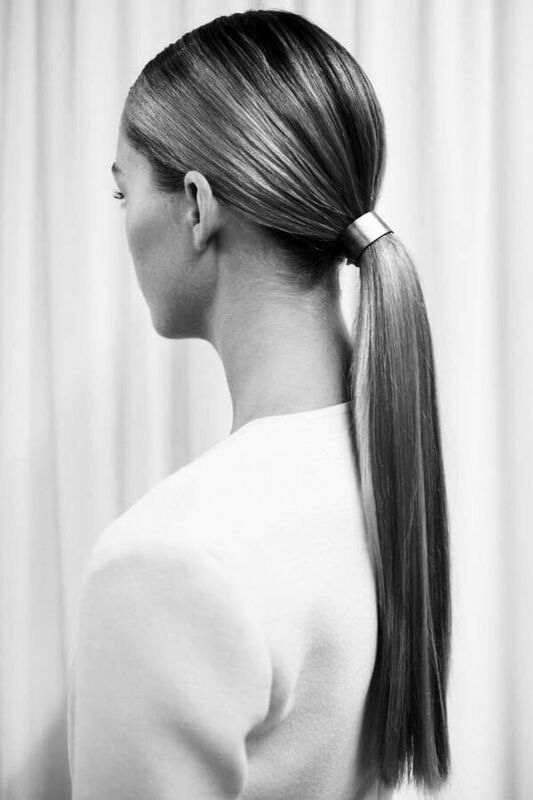 Be stylish at your workplace with this sophisticated pony. 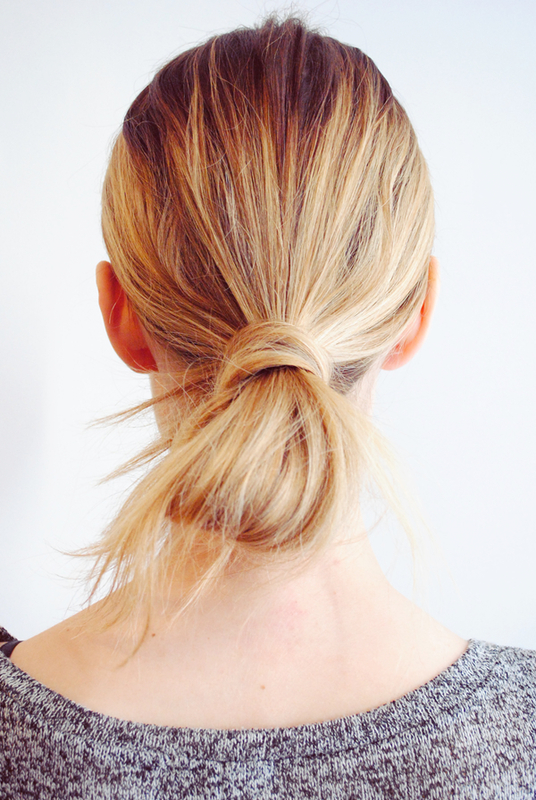 You need to condition your hair well and deeply to pull it into this low ponytail. Then you can adorn it with the accessory like stylish elastic and hair pins. For this unique hairstyle, you need an elastic and barrette. First, start with making a wrapped pony. Then fancy up your hairstyle by using a barrette to fix the ponytail beneath the base of your pony to create something like a loop. The exciting dip-dyed ponytail hairstyle is not for shy type people. It’s for those girls who want to wear a bold plus elegant style together. You can call it an advanced version of Madonna ponytail. 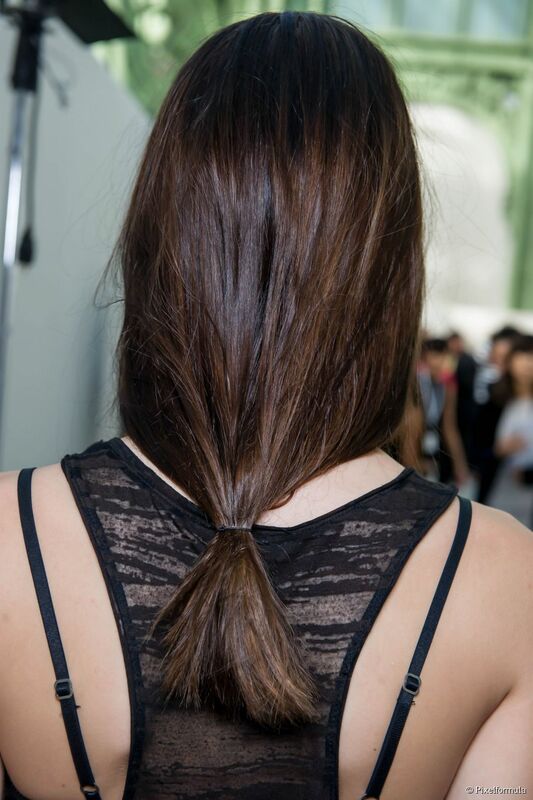 Instead of making one pony, you make three separate ponytails and tie them into single after that. Star with dividing your hair into three horizontal sections. Wrap each section with ribbons. Make sure you keep the top pony the thickest and the third one the smallest. Side ponytail is so common. But if you want something uncommon and noteworthy, try knotted side ponytail hairstyle. Got curly hair? Then you must try this classic curly ponytail to add bit more bounce in your looks. 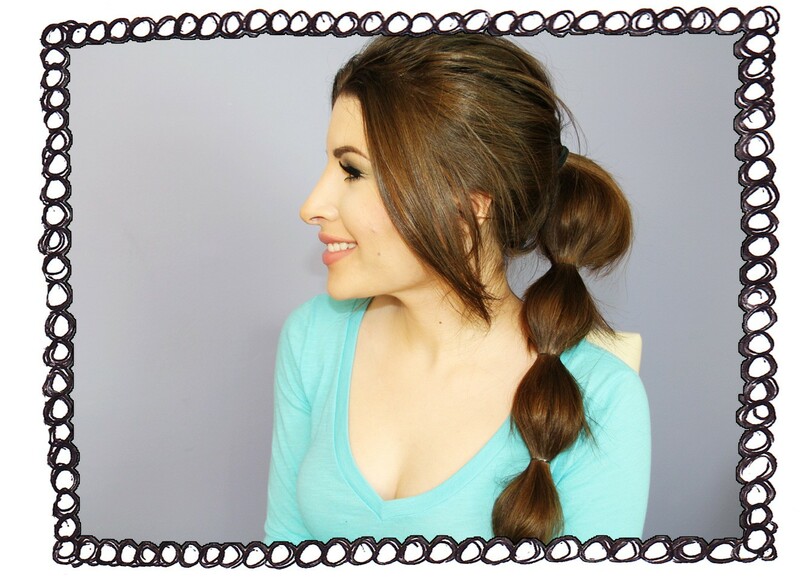 Use curling tong to curl the hair tied in the pony. Don’t want to flaunt your bangs tonight? Combine them in your ponytail and turn some heads surefire. Collect your bands and brush them backward. Make a regular high ponytail and clip the bangs where the ponytail starts. Give the gathering a topic to conversate. 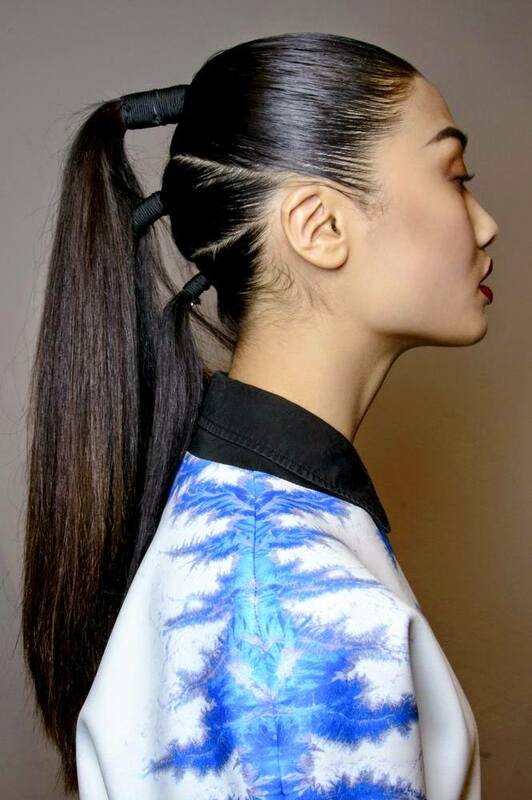 Try a high pony that starts exactly on the top of your head. To make it stand out more, use wild colors to highlight your pony and make an incredible statement.